Ray-Bar Fire-Rated Lead Backed Gypsum Wallboard (Type RB-LBG) also available as U.L. 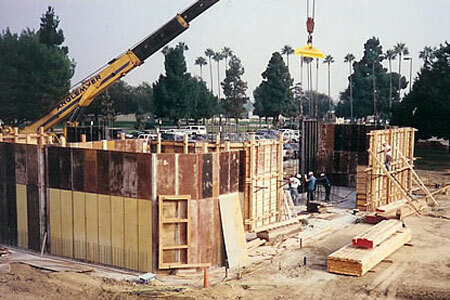 Labeled and Classified to U.S. and Canadian Safety Standards for 1 hour and 2 hour fire-rated partition applications (See complete marking on product) in 8 standard lead thickness shielding values from 1/64" and up to 1/8" and minimum 7'0 (84") high and approved in 12 unique wall partition designs and many combinations on over 7 different wall board types where two or more protective/fire-resistant and additionally moisture-resistant, mold-resistant, abuse-resistant, security or other applications available as required or specified by your project architect, or contact us directly for additional proprietary information. Ray-Bar fire rated lead backed gypsum wallboard is typically available in only one day or next working day and can also be delivered directly to your hospital facility or medical center project anywhere in the United States and Canada. For additional installation, details or material information and availability please contact us. Pure Lead Plate for high energy gamma radiation shielding wall systems in new or existing retrofit applications. Pure Lead Brick for high energy gamma radiation Vaults. Borated Polyethylene (5%) for thermal neutron radiation shielding wall systems. All calculations for shielding requirements should be determined by a qualified health radiation physicist currently recognized by the state in which the project occurs.